Whose idea was it to create the Trojan Horse? How did the Trojan War begin? 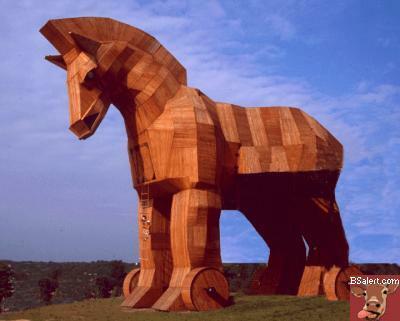 Who thought up the Trojan Horse? It was Odysseus who came up with the idea to build the Trojan horse and fill it with soldiers. Some people believe Athena helped in the idea of building the horse, but know one knows for sure. Epeius, an artist designed and built the Trojan horse. Odysseus and many very well trained soldiers hid inside of the horse and awaited the Trojans reception of their new gift.